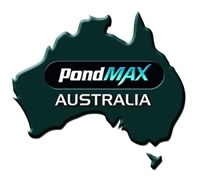 Here at Living Ponds we pride ourselves in trying to stock the latest and best koi and pond filters and equipment on the market today. There are so many different systems available to us today from Gravity boxes, Pressurised units and the all in ones , making the correct chose is so important and also coming within your budget. •Large Gravity boxes with UVC'S are the best choice for Large Koi ponds. 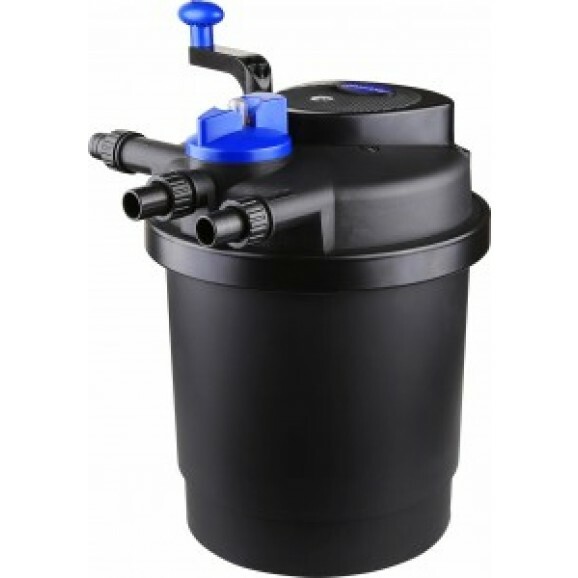 •Pressurised Filters are the Market leader today as these are brilliant for the standard goldfish and koi ponds with small to medium volumes of pond water. 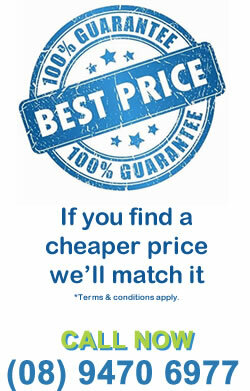 - These include a backwash system to make cleaning very easy. 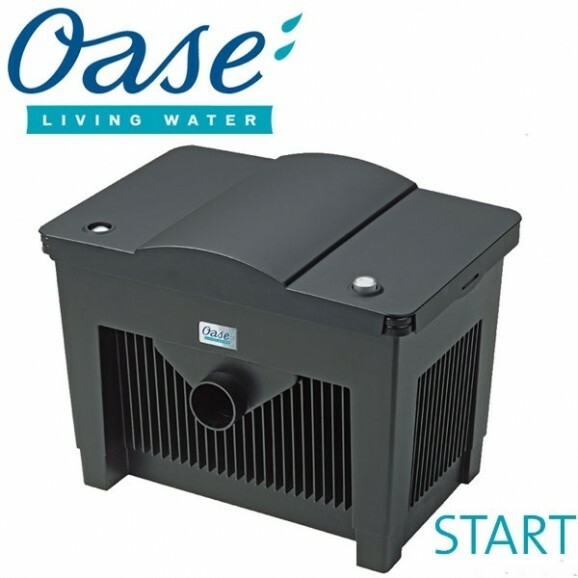 •All in ones - are ideal for water features and small stock levels of fish, thse are small and compacked and easy to maintain and also include UVC. 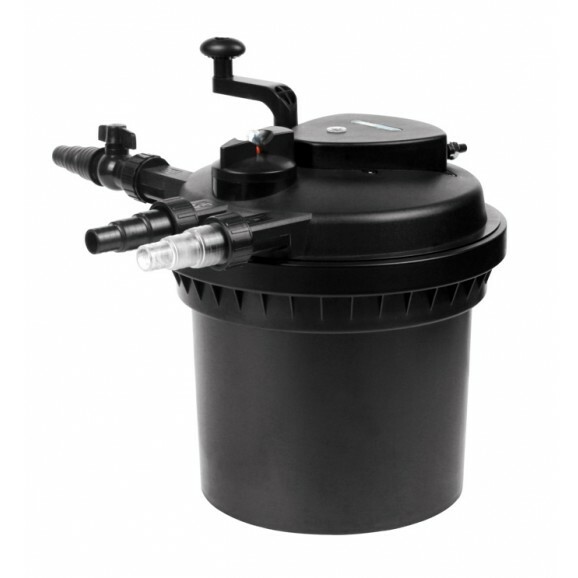 A pond filter keeps your pond water clean and safe for your fish. If you get the correct one then you'll never have green and cloudy water again. 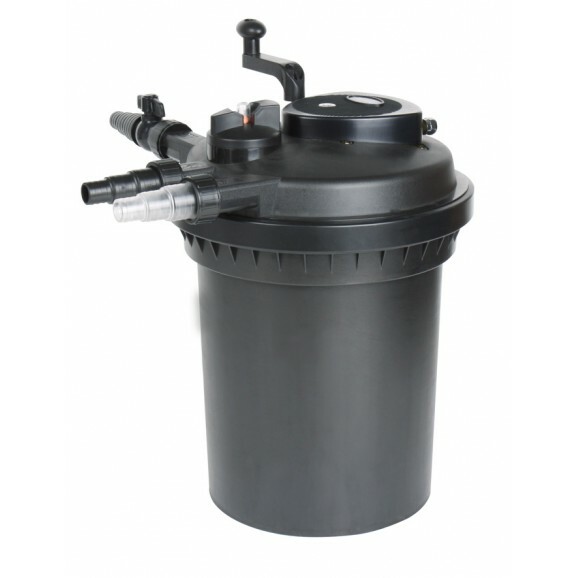 All pond filter needs a pump to push the water from the pond into the filter. They contain many types of media that clean the water mechanically or biologically using friendly bacteria. 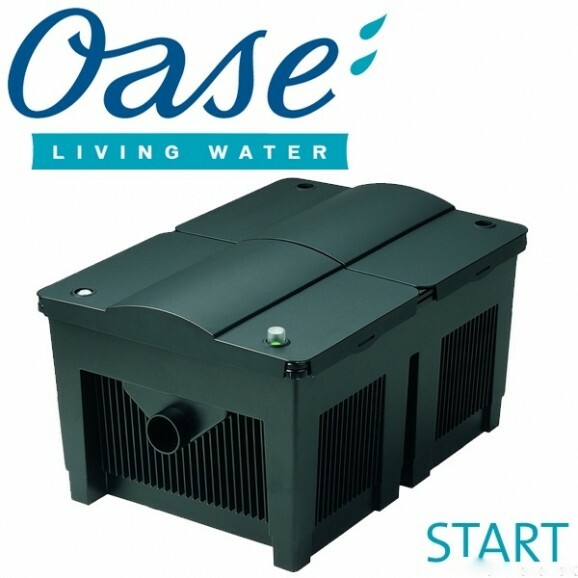 Almost all filters today come with an Ultra Violet Clarifier ( UVC ), that stops the pond from going green. 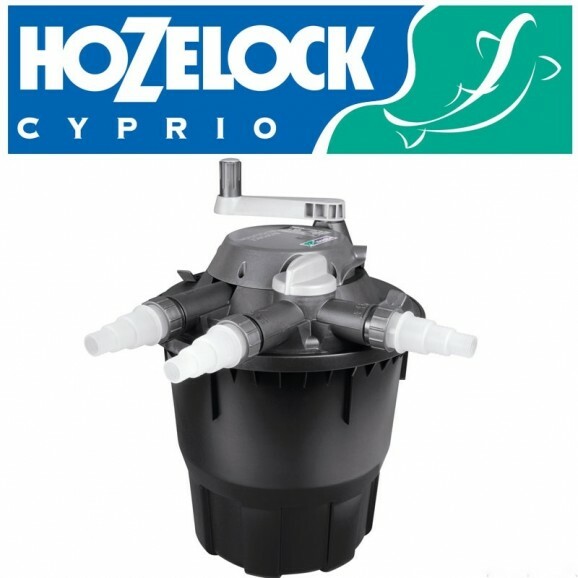 You will need to clean the filter out from time to time depending on the stock levels of fish and plants and when the flow out is reduced. Always clean the filter with pond water to protect the friendly bacteria. 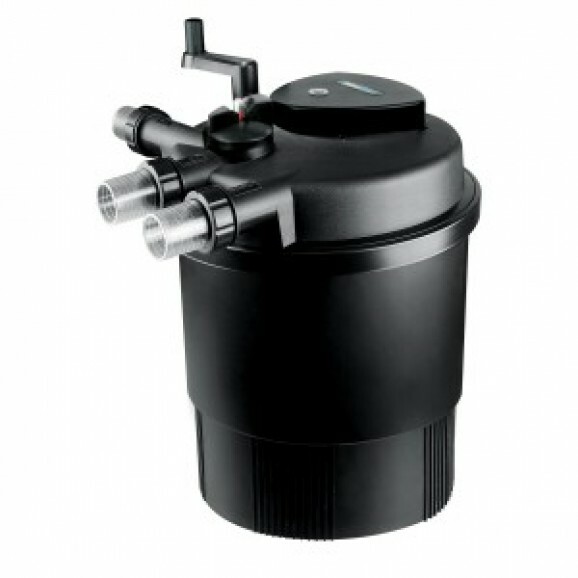 Most UVC filters today come with 5 metres of cable to connect to the mains, unlike pond pumps which come with a longer cable of 10 meters. The bulb in your UVC filter should be replaced every Spring time ( even if the light is still on - due to its lost of strength over a long period of time. WHAT SIZE FILTER DO I NEED & WHERE DO I PUT IT?